← Students, HAVE a Mentor. Pilots, BE a Mentor! A scene reenacted thousands upon thousands of times is about to unfold in a local flight school classrom… A flight instructor eases back in their chair and asks the student/pilot across the table, “What do you do if you get lost?” That is a question that is very common to conventional flight training and even the 24 calendar month pilot flight review… Everyone of course knows the C’s of being lost – conserve, confess, climb, circle, etc… We’re not here to debate those, but I do believe that it is worthwhile to explore the difference between being lost and being confused. Watching your time, speed & distance from check point to check point, not only keeps you from getting lost, it’s a good brain workout! No pilot should ever get lost! Let’s explore those two statements. Being lost means the pilot has literally no idea where they are and momentarily, no idea what to do besides fall back to their C’s memory checklist. With proper planning and navigation (regardless of technology) a good pilot should never become lost. Possibly confused, but not lost. Confused would be slightly disoriented, or not certain about the exact location, yet having a general idea of where they are and what they are doing to get to be certain of their position and plan. The reason no pilot (including students) should get lost is that with the technology of today, it is almost impossible to be so lost that a pilot has to conserve, climb, circle, etc… Between the navigation equipment of yester-year (VOR’s & ADF’s) and the technology of today (GPS units), pilots should be properly equipped. Maybe the aircraft doesn’t have a lot of technology in the dash… Easy fix: If a pilot can afford to fly they can afford a basic smart phone, which will have some type of aviation app offering. It doesn’t have to be ForeFlight or Garmin’s app, but something basic with limited moving map capabilities does wonders when it comes to helping (IN A SUPPORTING ROLE <caps for emphasis>) with added situation awareness. Years ago while flying Cessna 172’s from the east coast to the Midwest I would have the dual VOR’s constantly tuned. One CDI (course deviation indicator) display would be tuned to a nearby station and the other CDI to the next station along our route of flight. I would constantly adjust the indicators to keep the needles centered while within range of each station, this coupled with a very early handheld GPS (AnywhereMap on an HP PDA, the predecessor to BlackBerrys and iPhones) gave me positive reinforcement of my position. All of these was of course in addition to constantly watching my track with landmarks on sectional charts. Generally anytime a pilot visits a new airport they are somewhat confused, they know where they are but not exactly what to expect. Think back to your training, you probably had landmarks in the traffic pattern at your home airport. Maybe it was an overpass where you should turn base or a water tank to aim at on downwind (most days, depending on the wind). The same is true when flying to a new airport, especially a towered airport when a controller asks you to enter an X-mile right base, unsure of exactly where the airport is this can be very confusing, but you know where you are, you’re just not sure of where exactly you are or what you’re seeing… Over coming that momentary confusion, then making a “greaser” of a landing gives you something to recount with your passenger over lunch at the airport café! So remember, there is no excuse for being lost. There is a difference between being lost (no idea where you are) and being confused (not sure exactly where you are or how to get to the exact position you want to be, but you know roughly where you are, within a 2 mile circle or so). 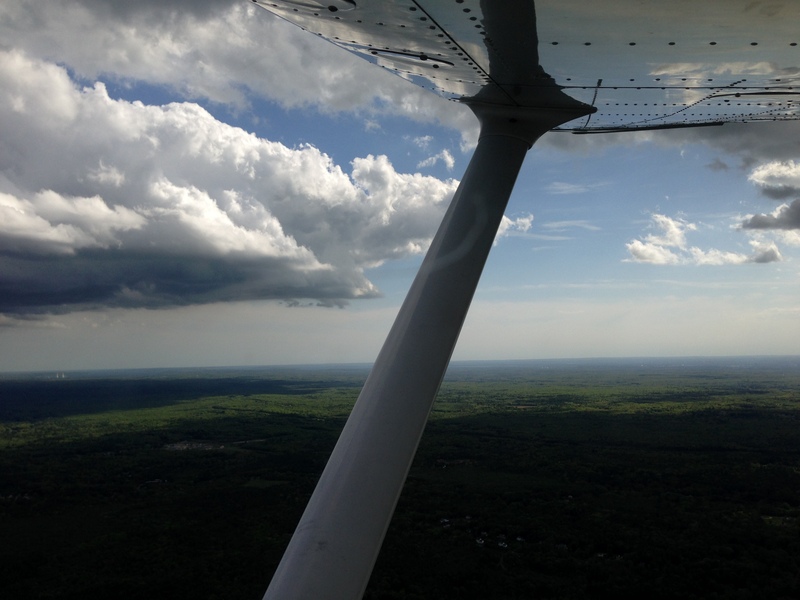 Lastly, it is okay to be confused in this sense that I have described, and if you feel like you are NEVER confused, find a flight instructor and ask for a challenge. It can only make you a better pilot!